The undersigned independent human rights organizations call on all independent voices able to speak up freely to pressure President Abdel Fattah al-Sisi to declare his commitment to complying with Egypt’s Constitution and leave office when his second and final presidential term ends in June 2022. The President should pledge his rejection of any interference in the coming presidential elections, and allow Egyptians to freely and willingly choose their next president. 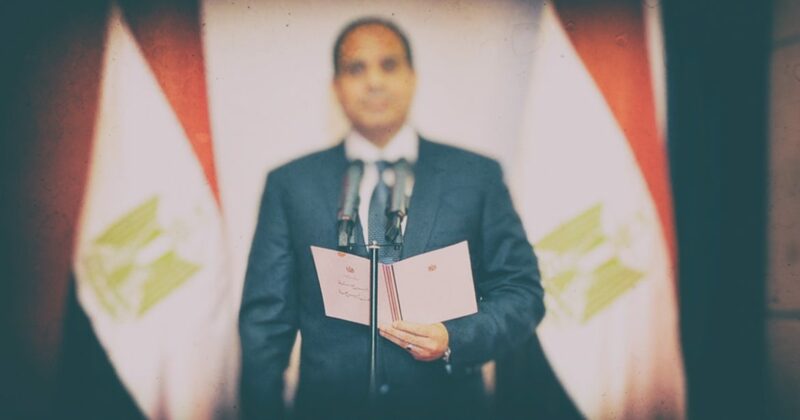 Foremost among potential interferences are the current appeals for constitutional amendments allowing President Sisi to stay in power after the end of his second term. The undersigned organizations affirm that calls to amend the Constitution would do better to urge respect for its provisions, which have been violated continuously since its adoption, instead of seeking to secure a privileged position for President Sisi or prop up his rule. Presidential term limits (two four-year terms) effectively stand as the sole enduring democratic gain following the revolution of January 25, 2011; a culmination of over half a century of struggle for the peaceful rotation of power. Undoing this achievement is not only a grave loss to those Egyptians who fought for it, but is also a genuine threat to Egypt’s political and social stability. Do those calling for constitutional amendments to indefinitely prolong President Sisi’s rule recall the consequences of three decades of rule by former President Hosni Mubarak? While the President and his abettors may believe they are securing his regime; in reality, they are not only setting the stage for his downfall but also overturning the few remaining pillars of stability in an increasingly volatile national climate; potentially destabilizing the country beyond the crisis that toppled Mubarak’s regime. The undersigned organizations unequivocally reject a constitutional amendment or a third presidential term for President Sisi under any circumstances, whether it is “yielding to the will of the people” or “continuing achievements” or any other pretext advanced by his supporters to justify disregard for Egypt’s Constitution and law. We hope that the President does not again break his word, as he did when he was defense minister and pledged not to run for President and then did, ostensibly in response to popular demand. Since mid-2013, President Sisi has consolidated his stronghold over the country. He has shut down the public sphere and effectively nationalized the press through the sale of newspapers and private channels to the security apparatus, allowing the state to dominate media discourse. Having ridded Egypt of any semblance of a justice system, President Sisi has crushed any movement opposed to his policies and imprisoned foes from across the political spectrum—including his former military commanders. President Sisi has struck Egypt’s human rights movement with its most severe blow since its inception. Case no. 173 of 2011 encapsulates the state’s unprecedented crackdown on civil society, with human rights defenders charged in the case facing imprisonment including life sentences, as well as asset freezes and travel bans. Free public opinion has been smothered amid this crackdown, rendering it likely that calls to amend the Constitution are orchestrated by the President himself or his close confidants. This is not the first time calls for constitutional amendments have been heard; they emerged in late 2017, in the run-up to the last presidential election in 2018. They quickly fell silent after causing tension in relations with the US Congress and Administration, which suspended part of Egypt’s annual military aid in September 2017. Successive governments—including those appointed by the current President—have rejected all opportunities for the reforms sought by Egyptians since January 2011, opting instead to deploy brutal repression unprecedented in Egypt’s modern history; increasingly perpetuating massacres, mass death sentences and executions, torture, and enforced disappearances. Hundreds of people have been extrajudicially executed while tens of thousands languish behind prison bars. In the view of the signatory organizations, the country is set on a catastrophic course that can only be averted if the government of Abdel Fattah al-Sisi is to dedicate the rest of his constitutionally limited-term to upholding Egypt’s Constitution and its laws. Stability can only rest upon the foundation of the rule of law, a foundation that will surely collapse if the Constitution – representing the nation’s fundamental legal precepts- is manipulated for shortsighted personal gains.